Orange police said Tim the turkey was stolen from Orange High School and later found injured and smelling of beer. ORANGE, CA -- Two college students were arrested after a turkey was stolen from a California high school and later found smelling of beer, according to officials. 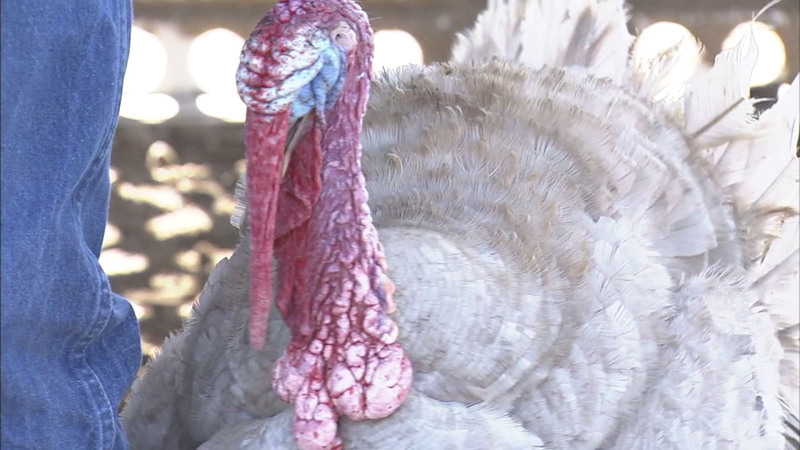 Orange police said the turkey, named Tim, was last seen by the Orange High School Agriculture Department around 5 p.m. on Saturday, and was noticed to be missing around 7 a.m. on Sunday. Officials said the 5-year-old turkey was found by a resident at about 5 p.m. on Sunday. Tim had missing and cut feathers, and also had injuries to his feet and chest, according to police. Authorities stated the turkey also smelled of beer. Investigators later arrested 23-year-old Steven Koressel and 21-year-old Richard Melbye, both students at nearby Chapman University, in connection with Tim's theft. Tim was returned to Orange High School, where he was checked by a veterinarian. Chapman University released a statement that said in part, "The University will also undertake the appropriate disciplinary actions according to our Student Conduct Code." "The University will not tolerate any instances of theft, animal abuse or cruelty, is appalled by this behavior, and takes this issue extremely seriously," the statement continued. Anyone with information that could help investigators was urged to call Orange police at (714) 744-7444.